Posted on April 9, 2013 by Greg Bonsib Tagged BusinessBuyerCustomerMarketMarketing and AdvertisingMeanPricesalesSellingValue (economics)	Comments7 Comments on What Does “Your Price Is Too High” Really Mean? What Does “Your Price Is Too High” Really Mean? Don’t fear your price! Be confident and not ashamed. You better sit down before I quote you my price. You know I want to work with you. I’ve been doing business with you a long time. I sure don’t want to lose your business. Since you are one of our better customers, maybe I can let you have it for this price. Never invite or challenge your customer to “shop” your price. Our price is lower than anybody’s. Comparatively speaking, I think we have the best price in the market. Just tell me where I need to be. What do I have to do to get your business? “I don’t care about service, delivery or quality. Price is all that is important.” Response: “Okay then we’ll provide you poor service and quality products.” This will put them in a position that forces them to admit their statement is false — they do care. This will allow you to reinforce your value. “My guys sell what the customers want. They don’t see the difference.” This is a great opportunity to meet and sell the salespeople. Ask if you can talk to his people. This is a great “pull through” opportunity. Once you sell the sales reps — price becomes a lot less of an issue. “We are reducing down to only two suppliers. If you want to be one of them, you’ll need to get right!” In this situation, never cut your price without the commitment of what will be gained. At this stage a price quote without the commitment will only be used to leverage the other participants. Response: List your competitive advantages; assure the buyer that you will be competitive and that if he’ll make the commitment now — on the spot — you’ll close the deal. Put the heat back on them! “I need an incentive to cut off a long-term vendor. You must be lower if you want me to do so!” Response: Only commit to being competitive. If they didn’t have a need they would never consider a change. 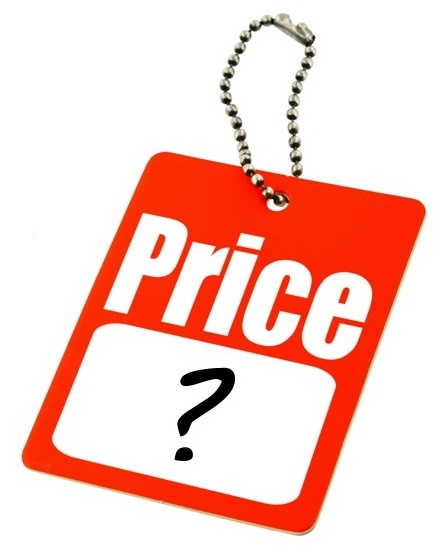 What does the marketing team look at when making a price decision? Will the price requested set a new market low? Will we be profitable with all the program added in? Does it add or cut back ends? Do we carry a price premium over our competition? Can we reduce the “let’s make a deal” nature of our business? Are we acting as industry leaders? Make sure that the customer has truly earned and justified the price they need. Make sure you are comparing apples to apples — there are many elements of price — get your facts straight. Once price is relinquished make sure you have gained something for the value you provided. Finally, communicate thoroughly, professionally and always be reinforcing your value. For other Channel Instincts posts on pricing, see Is pricing making you go bananas? or Are you pricing for volume or profit? This entry was posted in Marketing, Pricing, Sales, Value and tagged Business, Buyer, Customer, Market, Marketing and Advertising, Mean, Price, sales, Selling, Value (economics). Bookmark the permalink. You must know if your market price is competitive because in today’s market “your price is to high” can easily mean that your are not competitive with another supplier. Robert RGW Sales Canada. What it really comes down to is this; the company offering a product/service with the strongest and most appealing value proposition will get the business. If there is nothing unique about a product/service over competing brands then it simply falls into the category of a commodity item which of course is sold strictly on price. For example; we rarely settle on the least expensive vehicle available but we always look for the cheapest fuel we can find to put in the tank. ← Do You Need a Brand Road Map?